Windows users may want to boot into safe mode during the time of emergency. But, From Windows 8, It has become a bit tricky. So, This article intends to explain how users can do it in all Windows including Windows 10. Safe Mode is fundamental when you try to troubleshoot a fatal error on Windows. Specifically, To troubleshoot blue screen of death errors, it is one of the ways that you need to follow. When users can’t log in into Windows normally because an error appears just before the login screen, the only way is safe mode. But, Do we know much about it? You might know one traditional way to boot into safe mode. Unfortunately, That is not working anymore in most modern PCs. But, Yes, It still works for some users with older PCs. By the way, Here are the ways to boot into safe mode on Windows 10, 8 and 7. People also know it as the F8 method. After pressing on the power button on PC, when the first light comes in monitor screen, start pressing the F8 key and keep it until you see the legacy boot menu. When the boot menu comes, use the arrow key to navigate between options. You can select Safe Mode or Safe Mode with Command Prompt or even Safe Mode with networking by using the arrow key and then press enter. It is an excellent way to boot into safe mode. Unfortunately, It is no more a working solution for most users in this 2018. Because The legacy boot menu is no longer available. But, There is a trick to bring this option. Though it may not work for many users. You still can try it. It may seem a bit tricky. If you can’t access Windows, you will need a Windows bootable media to enable legacy boot menu. However, Here are the steps to follow. At first, Insert the bootable media (USB Drive/DVD) on PC and restart. Now, You should see the boot menu. In some cases, It may not come automatically. So, You may need to press F12, F8, F10 etc. button to open boot menu. It depends on your motherboard. Then, Choose “Boot from USB Flash Storage” or “CD/DVD Driver” or anything else depends on the type of Windows bootable media. Now, Press any key on the keyboard if your computer asks you to press. After that. You should see the Windows Setup window. From there, Click on Repair your computer. In the command prompt, run the following commands. If you have access on Windows normally, You can simply open the command prompt from the start menu and run that command. This one is a very common method to boot into safe mode. Here are the steps to follow this method. At first, Open the start menu, type msconfig and hit enter. It will open the System Configuration window. Now, Go to boot tab and select safe mode. Then, Click on Apply and OK. Restart your computer. It will boot into safe mode. If you want to return to the normal mode, just undo the changes. It is an advanced way to access safe mode. If you are missing the traditional method, this one can be perfect way to boot into safe mode. To do it, follow these steps. First of all, Open the start menu, click on the power button. If you are at the lock screen, you should find the power button in right place. By the way, Press and hold the shift key on the keyboard and then, click on restart. It will lead you to an advanced blue window. From there, Go to Troubleshoot > Advanced Options. Now, Click on Startup Settings and restart. 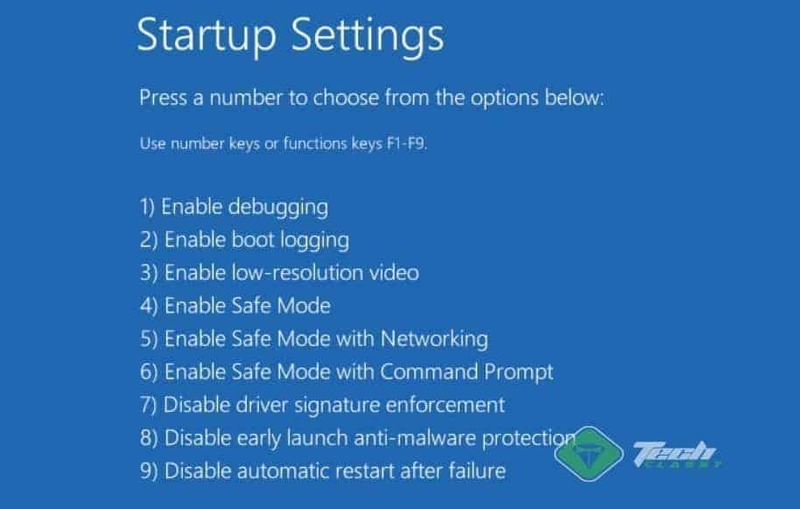 After that, You will get a new blue window, where you can select from several options like Enable Safe Mode, Enable Safe Mode with command prompt or with networking etc. You can select any of the options by pressing on the number key on the keyboard. This is same as the Shift+Restart method. The only difference is you will have to boot from a bootable windows disk or flash drive. However, Here are the instructions. At first, Boot from a bootable windows disk just like method 1. Now, Click on Repair your computer. Then, Go to Troubleshoot > Startup Settings and click on restart. Now, Everything is like method 3. So, Follow that one. 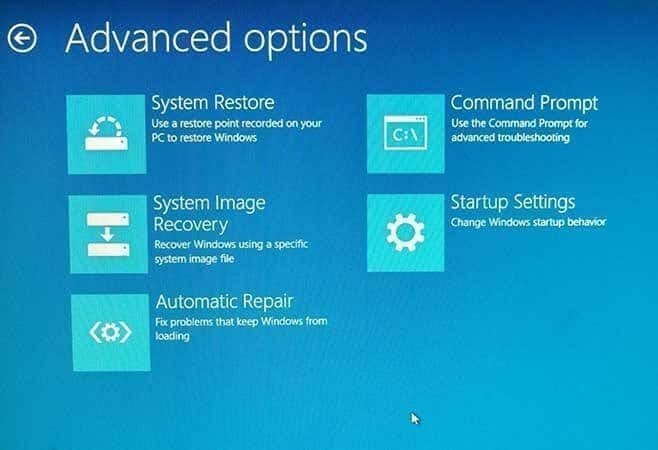 These are ways to boot into safe mode in Windows 10. Hopefully, These tips will help you in the time emergency.